The Stephen King novel adaptations keep coming this summer, following The Mist on Spike and The Dark Tower on the big screen, this time with Mr. Mercedes being adapted for the Audience channel. 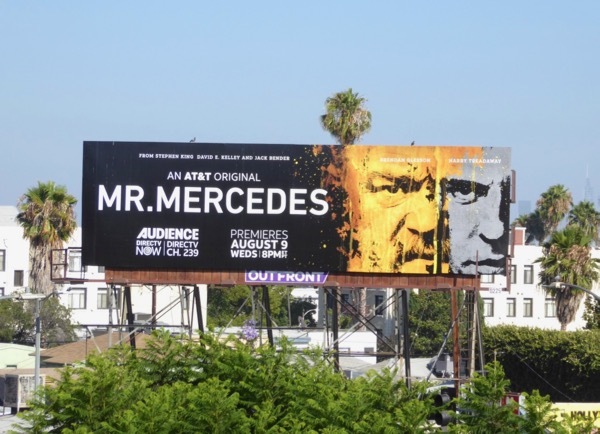 The original series based on the 2014 book of the same name, stars Brendan Gleeson as a retired hard-boiled detective pursuing a psychotic serial killer (played by Harry Treadaway) after he plows a stolen Mercedes into a crowd brutally killing many people, earning his nickname. 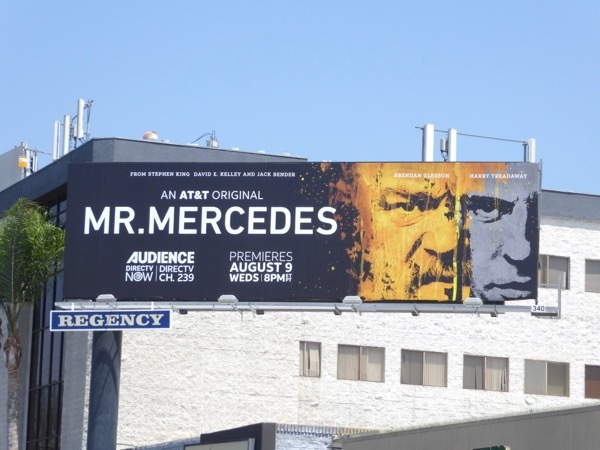 These eye-catching series launch billboard were snapped along Santa Monica Boulevard, Sunset Boulevard and Vine Street on July 21, 2017. 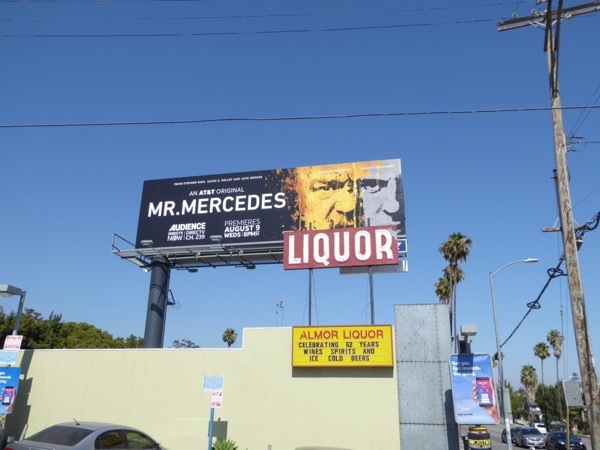 Fans of the best-selling author can also enjoy these other billboards for Stephen King adaptations from TV and the movies. 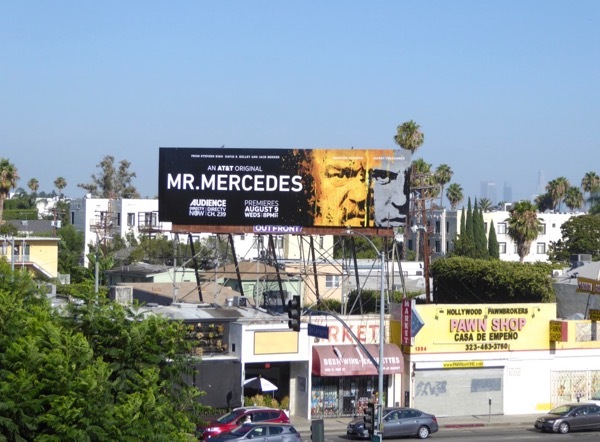 Here's hoping that viewers are in for a thrilling ride with this new crime series.